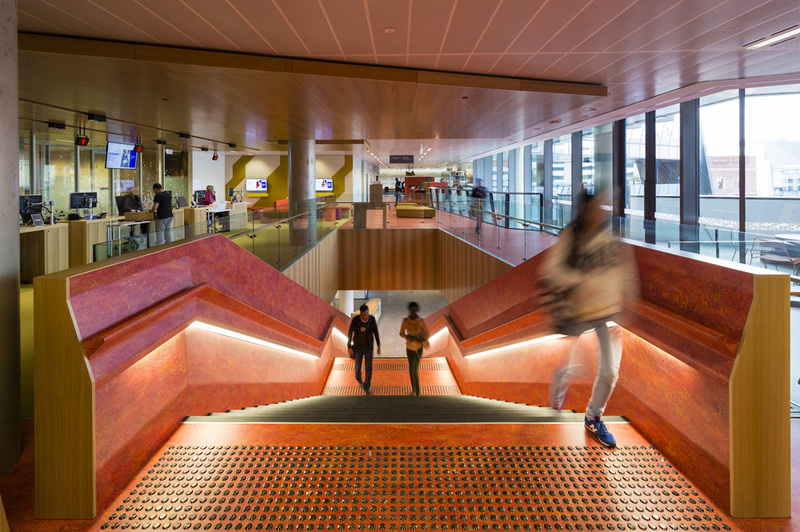 Wilson Architects were the primary Library and Education Consultant for the delivery of the new Jeffrey Smart Learning Centre for the University of South Australia, working in association with John Wardle Architects + Phillips Pilkington Architects. The new Library building incorporates a full range of library services, experiential teaching and learning suites and staff and student services at a strategic location within the UniSA City West campus precinct. The smart learning spaces will emphasise active, collaborative, peer and social learning by moving away from traditional lecture, tutorial style class rooms to spaces that are flexible in their design and facilities. There will be combinations of spaces, from areas for collaborative group work and informal and social learning spaces to quieter areas for solitude study, all integrated with 21st century study resources. John Wardle Architects + Phillips Pilkington Architects.